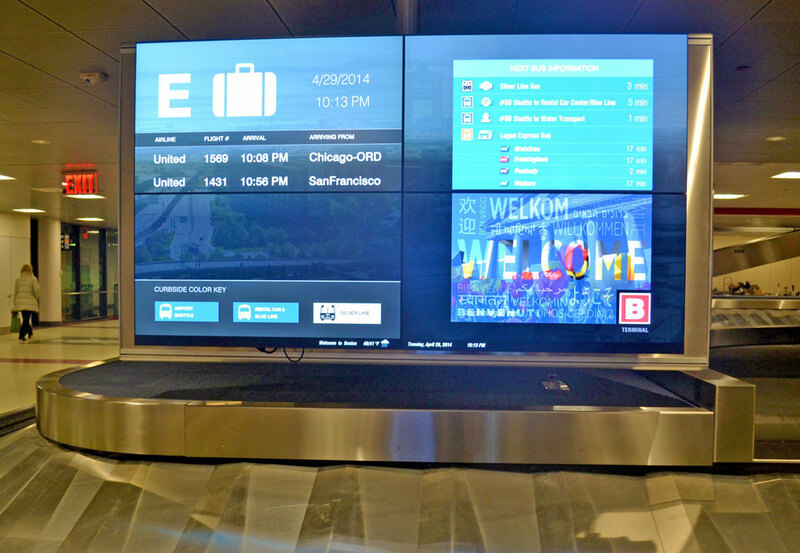 BOS Digital Passenger Information Program - Arora Engineers, Inc.
Arora provided special systems engineering for the airport-wide Digital Information Passenger Information Program (DPIP) at Boston Logan International Airport (BOS). 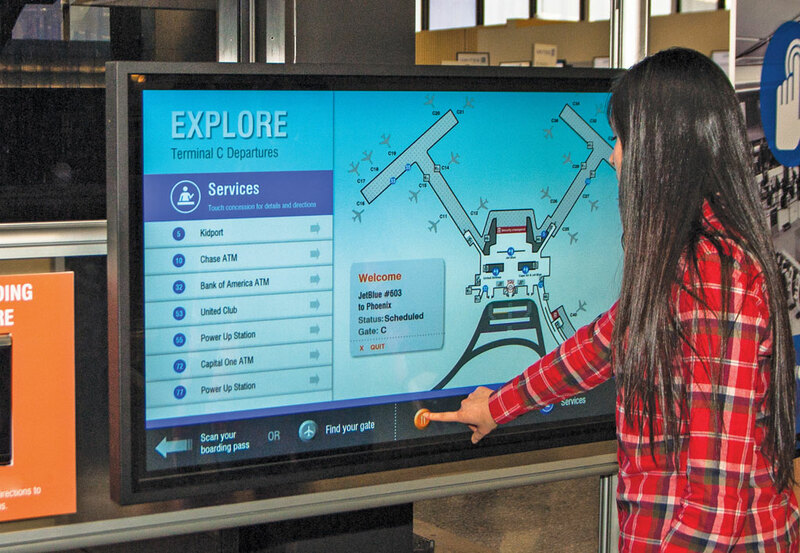 The goal of this project is to make it easier for passengers to navigate the airport, to promote public transportation by offering real-time transit information, and to encourage patronage at the airport’s various concessions. 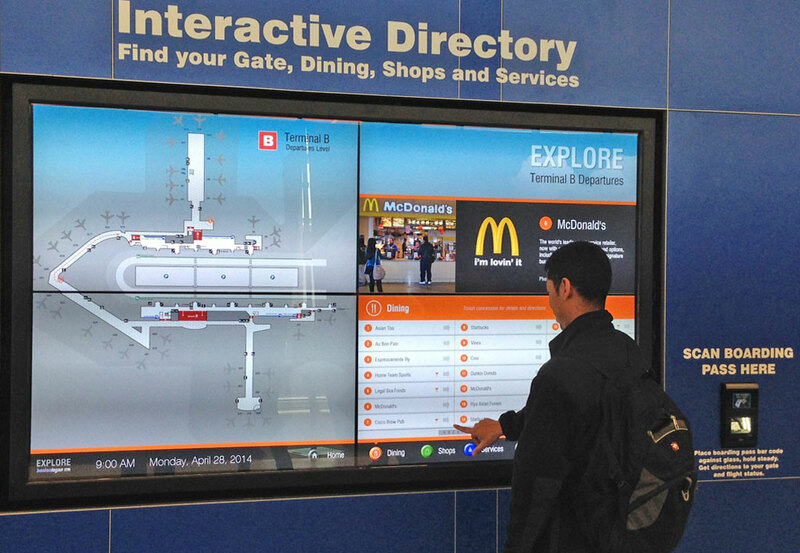 Arora conducted a state-of-the-industry analysis of digital signage and its related content strategy, development, and deployment. Criteria analyzed included available software and hardware. 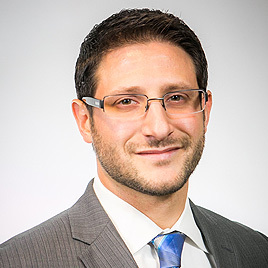 Arora assessed the airport’s existing infrastructure and made recommendations for expansion. Project deliverables included design documents, reports, multimedia, and draft RFP’s. The project involved multiple site surveys and stakeholder coordination. 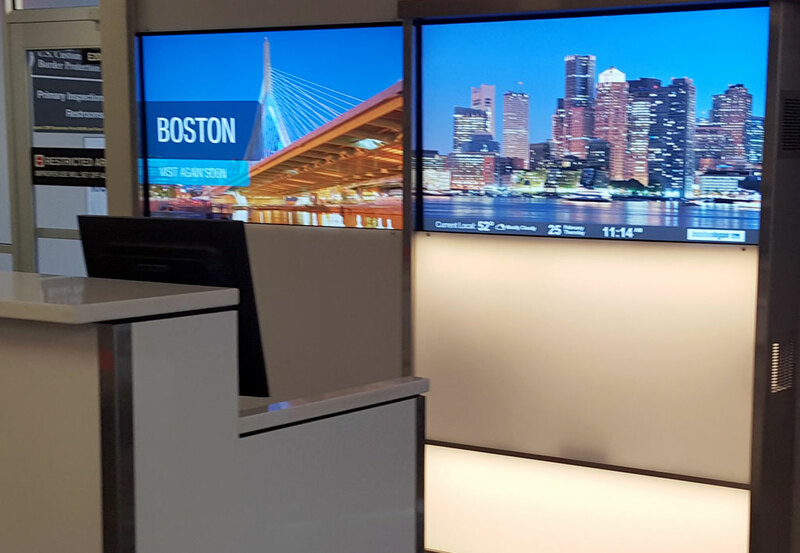 Subsequent to the analysis and assessment, Arora has implemented the DPIP program throughout BOS including the upgrade and installation of new signage in Terminals A, B, and E. As a part of the new signage, Arora designed a first of its kind InfoBar in Terminal A. 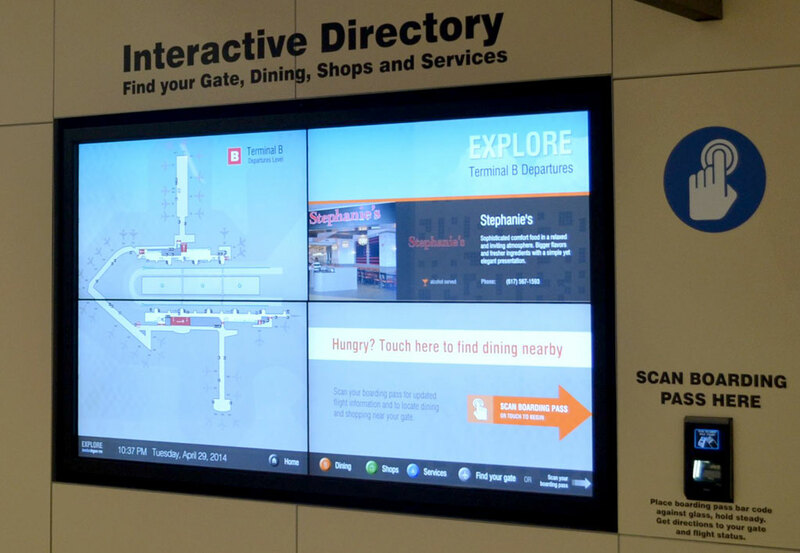 This included 4 individual 20″ touch integrated displays that provide wayfinding and terminal directory information situated on a stylish custom tabletop.